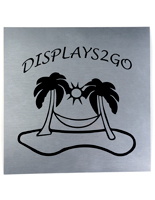 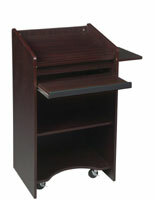 This mobile hostess podium is a versatile fixture designed for style, usability, and ease of movement. 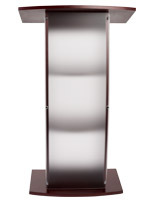 Each full-size lectern features a raised slanted reading surface with 0.75" deep book stop to hold materials. 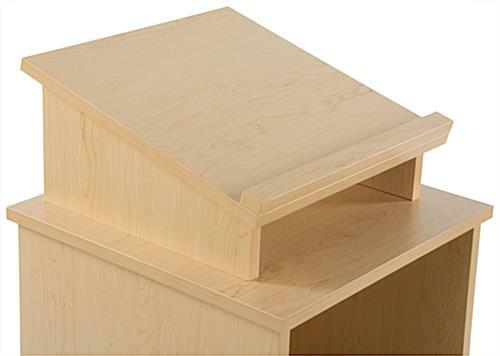 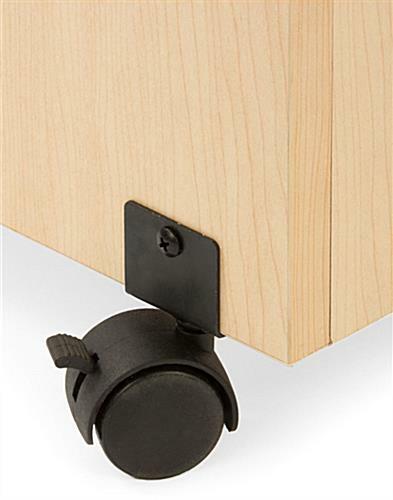 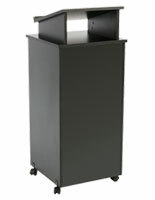 This rolling hostess podium has four caster wheels, including 2 that lock for stability during use, that allow easy movement from place to place. 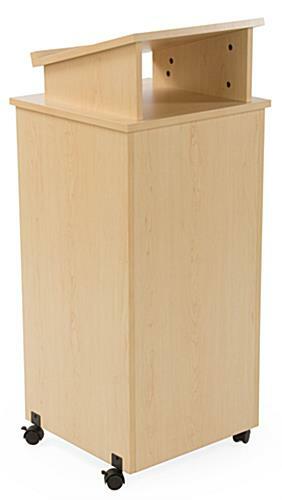 This light finish melamine laminate speaking or valet stand is a great choice for use in restaurants, hotels, schools, as well as at trade shows and promotional events. 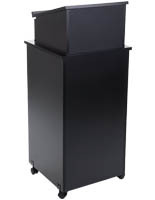 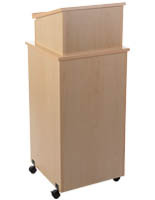 This wheeled hostess podium's raised surface is designed to hold reservation books, reading materials, books, iPads and other tablets, and even laptops. 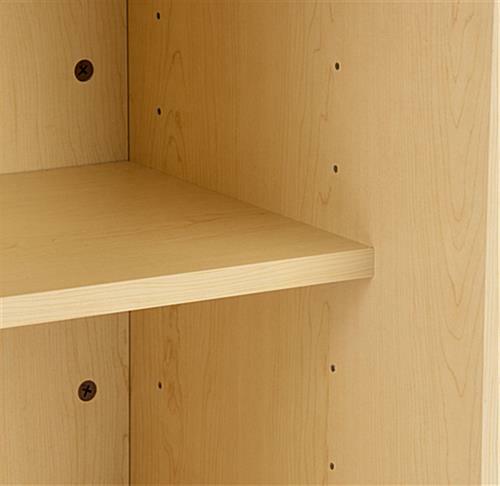 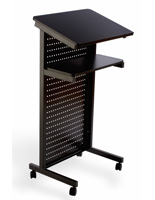 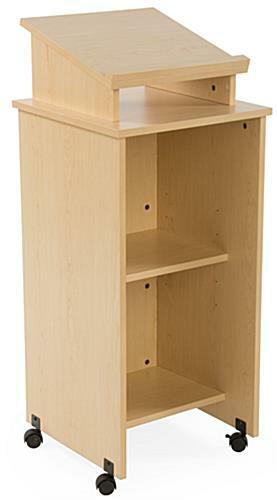 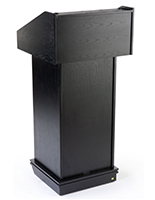 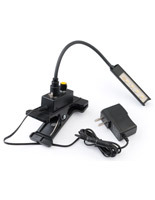 Each stand up lectern on wheels also includes a fixed interior shelf for accessories and supplies.